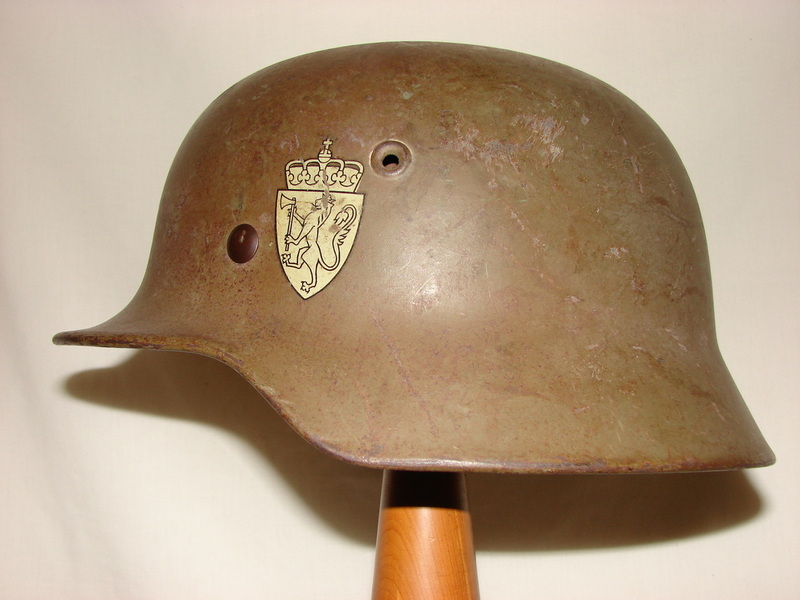 After WWII Norway reused a large number of German helmets. 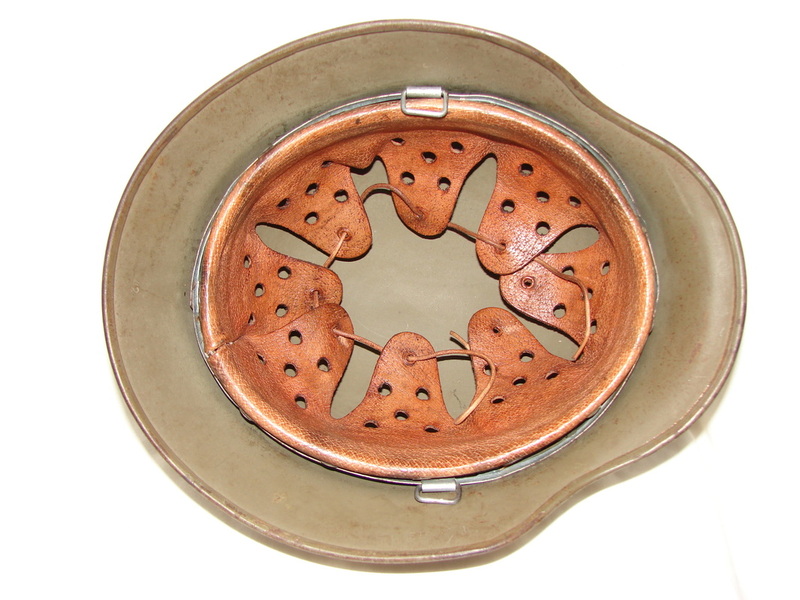 These helmets were left behind after the surrender of German Forces in Norway . 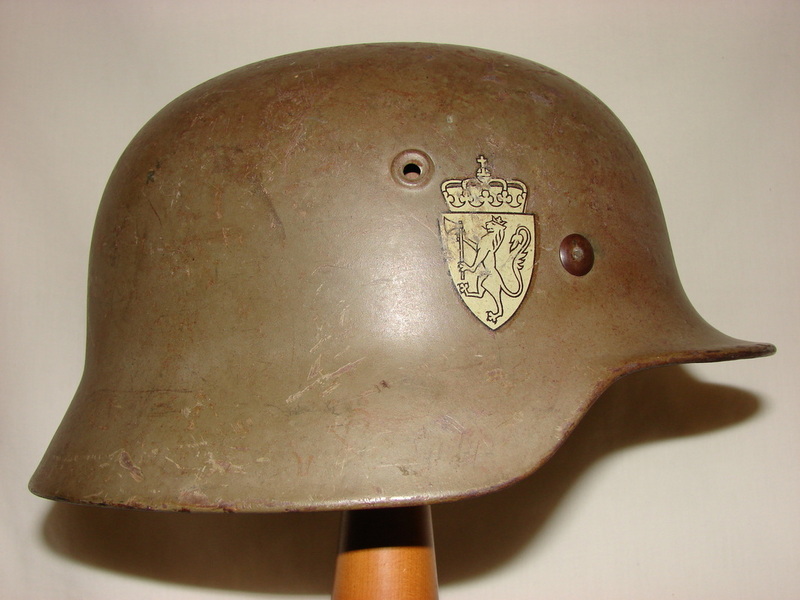 This helmet has been repainted, double Norwegian army decal added and a red brown preservative has been applied to the liner. The shell is marked ET for, Eisenhuttenwerke in Thale which was the largest of all German helmet production facilities during World War II. 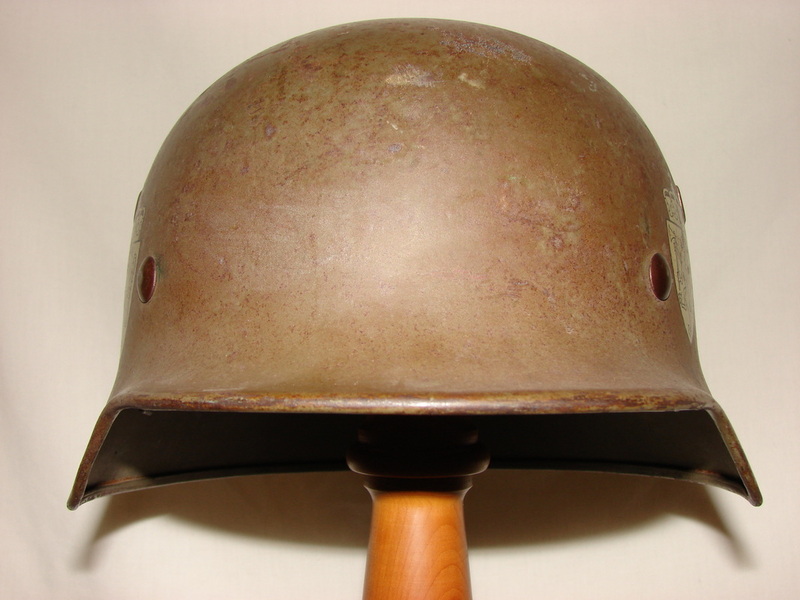 These helmets remained in use with the Norwegian army until the introduction of the M58 helmet (US M1 style helmet) in the late 50’s early 60’s.